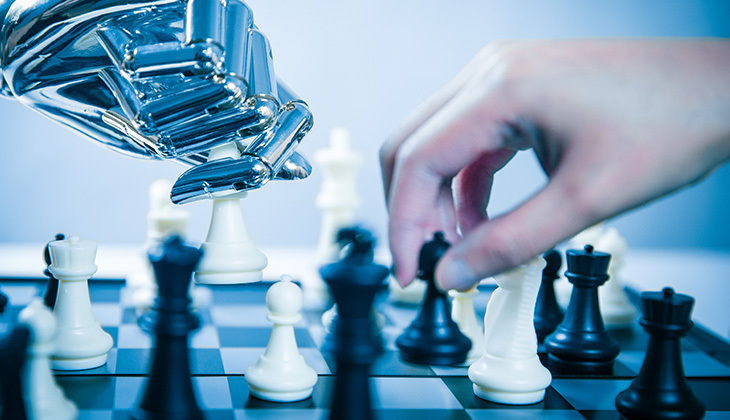 A white paper published by The Economist Corporate Network (ECN) shows that, as AI reorients the nature of work, business leaders demand workers to tap into their more “human” talents and approach tasks with an open and global mindset. The paper, sponsored by Hays and WeWork, is based on a survey and a number of focus group interviews with CEOs and other C-suite executives based in the Asia-Pacific region. Indeed, CEOs are aware of how AI and automation are affecting work spaces, and employees’ growing demand for flexible environments that reflect these changes and provide opportunities for constant learning. The ability to dramatically change the culture of a company to thrive in a digitally competitive business environment, however, is one major challenge shared by CEOs. There is a huge amount of inertia in many large multinationals, and especially those with 100-year-old histories. The senior executives in the Singapore focus group, for example, noted the importance of collaborating with government, academia and business including start-ups in order to build networks across the entire ecosystem. A common theme that CEOs brought up in the focus group interviews was the increasing importance for collaboration across borders in a globalised business world, with many executives demanding employees who can work in multigeographical, multi-cultural settings. Across Japan and Hong Kong in particular, CEOs recognised that educational policy initiatives are lagging behind and a greater global collaboration and multi-stakeholder dialogue is vital for both businesses and future employees. The research also suggested that a growing number of CEOs are embracing the mantra of “adapt or die”. With an increasing sense that changes brought about by the confluence of technologies over the past decade are fast paced and inevitable, CEOs have changed their tack and now believe in an approach based on accelerating the arrival of AI and automation. Indeed, a large proportion of CEOs have changed their approach within the past year. Of those surveyed in 2017, 58.1% stated that their approach was to soften the impact on work from automation and AI, while only 40.5% said that they preferred to accelerate the arrival of automation and AI to the workplace. In 2018, however, 64.7% of CEOs now believe in an approach based on accelerating their arrival, compared with only 35.3% of those who say that their approach is to soften the impact. The race to adopt and implement AI in business processes reflects such a shift in attitude. Despite the growing need for data scientists to help devise strategies centred on new technologies, paradoxically, it is people and soft skills that will be the most important skills for the future. Of those surveyed, 46.2% rate people skills as extremely important, closely followed by soft skills, at 41%. Meanwhile, hard skills remain one of the least valued by business leaders. Only 6.4% of CEOs think that hard skills are extremely important. Our report also notes a number of regional trends across Asia in relation to skills desired in the future workplace. A larger proportion (50%) of CEOs in both Singapore and South Korea think that business skills are extremely important. Furthermore, 70% of those surveyed in Japan, compared with only 25% in South Korea and 16.7% in Hong Kong, deem people skills as extremely important, suggesting cross-cultural differences depending on the business environment.